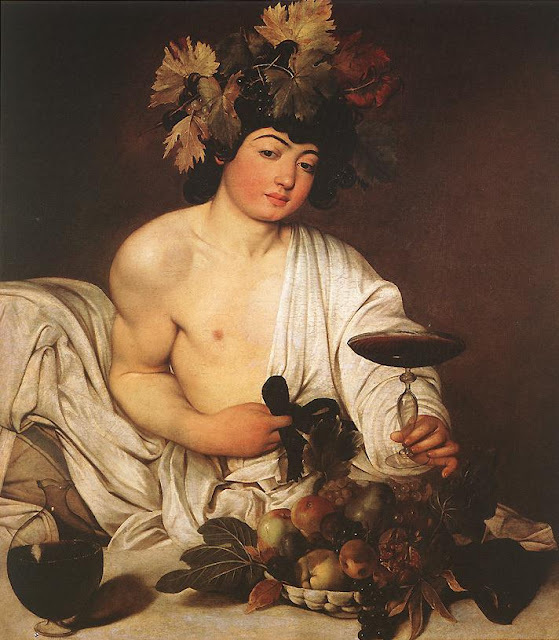 Caravaggio's Bacchus (1596-7). Not super relevant, but they were really into their classical gods. Raise a glass to the god of wine and tragedy and take a moment to enjoy his seriously defined arms and on point eyebrow game. Cheers! The Court of Louis XIV was a vibrant and opulent place. The menus and dining habits of the King and court offer insight into the excesses that saw six of every ten francs collected in taxes spent at the enormous chateau of Versailles and its ten thousand inhabitants. The population of France at this time was approximately twenty million. Versailles was more than a seat of government. As W.H. Lewis explains, “To the man or woman of ambition it was a lottery in which the prizes were dazzling, and in which few could resist the temptation to take a ticket.” Conducting oneself well and securing the King’s favor could result offices, property, influence, and connections. Though it could be prohibitively expensive to put on appearances as a courtier, many people thought it was worth the risk, and in any case, life at court was unlike anything else in the world. For most courtiers, dinner was eaten at eleven or twelve before attending the King’s dinner at one. In spite of appearances, many courtiers hoping to obtain the King’s favor were relatively poor, and were referred to in the slang of the time as cherchemidis, or seekers of free dinners. If they were not able to eat in town or at their patron’s table, they could dine with the five-hundred others reliant on the King’s generosity at the cuisine de commun, a special kitchen kept to feed them in Versailles. At one, the King would eat au petit couvert, au grand couvert, or au public. Watching Louis dine au public was a popular pastime, and any well-dressed person could be admitted. They were not allowed to stare at the King, however, and were led through one door and out another, moving past the King’s table in an orderly queue. Louis rarely dined in public, and preferred to eat au petit couvert in the privacy of his rooms. Even in private, the ceremony was considerable. After they were tasted by the maitre d’hotel and the Equerry of the Kitchen, thirty or forty dishes were carried from the kitchen in the rue de la Surintendance across the street and through the palace to the King’s rooms with a formal entourage of more than a dozen people known as the cortege de la viande de Sa Majeste. The King ate at a square table in his bedroom facing the window, and the food was kept warm over dishes filled with red embers. Never left alone, he might be joined by his brother, the Dauphin, bishops, or Princes of the Blood, but he was the only person allowed to sit. The supper hour was ten o’clock, but the King usually ate much later. Supper was his favorite part of the day, and the court was awed by the amount of food he could eat. An average supper for the King might include four plates of soup, a pheasant, a partridge, ham, mutton, salad, pastry, fruit, and hard-boiled eggs. Although he retired to bed soon after supper, he would be met there with en cas de nuit, a snack meant to sustain him until morning. This would include two bottles of wine, water, three loaves of bread, and perhaps three cold dishes. If you’re wondering how he managed it, it is worth noting that Louis never ate between meals. Unsurprisingly, his post mortem revealed his stomach was twice the size of an average man’s. Supper for the privileged was no less grand. Whether dining at Versailles or in Paris, suppers consisted of three or four courses eaten with trenchers. Forks existed, but had not caught on yet, and their use depended upon breeding and company. They were commonly used in Paris, but shunned by the King, who preferred to eat with his fingers. Entrees: Partridge in cabbage: fillet of duck: galantine of chicken: fillet of beef with cucumber. Hors d’oeuvre: Chickens cooked on hot embers. Centre Plate: Quarter of veal. Roasts: Two hens and four rabbits. Plats Moyens: Vegetables and fruits. Hors d’oeuvre: Fried sheep’s testicles: slices of roast beef spread with kidneys, onions, and cheese. Oysters, salmon, and sardines were popular. One of the most popular dishes was potage. Typically a large dish of meat boiled with vegetables, potage was so loved that there were more than one hundred and fifty recipes for it at the time. In The Long Way Home, Alice and Jack are treated to a supper of Potage a la Jacobine, a thick stew of partridges and chickens served in almond sauce over a layer of cheese. One of the most coveted foods at court was one we would least expect. When Alice arrives at Versailles, she is perplexed to find that everyone is obsessed with peas. 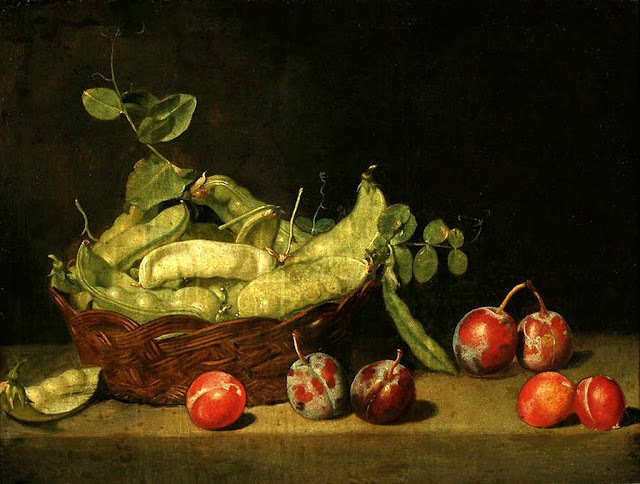 Green peas were an expensive luxury beloved by the court. In 1660, Louis XIV had a huge quantity brought to him from Italy, packed in roses to keep them fresh. From coffee and pastry to peas and potage, you can read more about the food, dining habits, and etiquette of Louis’ court in The Long Way Home. Go figure. Peas. Who knew? Fascinating! I love posts about the way people ate. OK blogger ate my THIRD attempt!! I love this and it reminds me of the Sofia Coppola film. I forgot the title but you know the one I mean.